Michelle Procaro and Julie Musselman join Mary Graham for Day 27 of the 33 Days to Morning Glory. 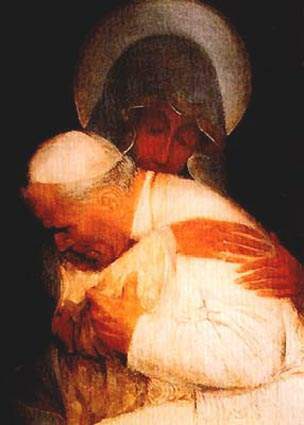 Pope John Paul teaches us that when we take the Mary "into our homes" as St. John, the beloved disciple did at the foot of the cross, we are entrusting ourselves to her. This underscore the main message of consecrating to Jesus through Mary. It is because Mary is so close to Christ that we should get close to her.